Description Backup Camera, Tow Package, ONE OWNER, 1-Year SiriusXM Radio Service, 3.73 Axle Ratio, 40/20/40 Split Bench Seat, 5.0 Touchscreen Display, 5th Wheel/Gooseneck Towing Prep Group, 6000# Front Axle w/Hub Ext, Box & Rear Fender Clearance Lamps, Bright Front Bumper, Bright Grille, Bright Rear Bumper, Carpet Floor Covering, Chrome Appearance Group, Clearance Lamps, Cloth 40/20/40 Bench Seat, Dual Rear Wheels, Electric Shift-On-The-Fly Transfer Case, Exterior Mirrors Courtesy Lamps, Exterior Mirrors w/Heating Element, Exterior Mirrors w/Supplemental Signals, For More Info, Call 800-643-2112, Front & Rear Floor Mats, Front Armrest w/Cupholders, GPS Antenna Input, Integrated Voice Command w/Bluetooth, Manual Adjust Seats, Media Hub (USB, AUX), Overhead Console, ParkSense Rear Park Assist System, Popular Equipment Group, Protection Group, Quick Order Package 2FA Tradesman, Radio: Uconnect 3 w/5 Display, Rear Folding Seat, Remote Keyless Entry, Remote USB Port - Charge Only, SiriusXM Satellite Radio, Storage Tray, Temperature & Compass Gauge, Tire Pressure Monitoring Delete, Trailer Brake Control, Wheels: 17 x 6.0 Steel Argent. Clean CARFAX. Do not miss your chance to SAVE HUGE $$ on quality PRE-OWNED Vehicles at Greenville Chrysler Jeep Dodge Ram Fiat!! 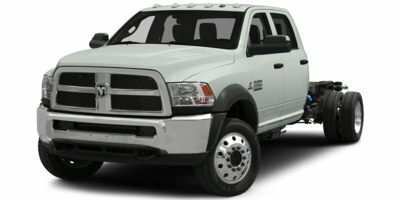 Bright White Clearcoat 2018 Ram 3500 4WD 6-Speed Automatic Cummins 6.7L I6 Turbodiesel CARFAX One-Owner.